Hygienist Ann Ossinger is visiting schools around the district to offer voluntary dental screening to first and second graders. Ossinger is part of a mobile dental hygiene service funded by the Oregon Health Authority. The program is reaching out to students who may not have regular dental screening. The early grade levels are the focus because that is the age when young children get their six-year molars. Her first stop was at Tangent Elementary School on Monday, Oct. 11. Parents must provide written parent permission for the screening. 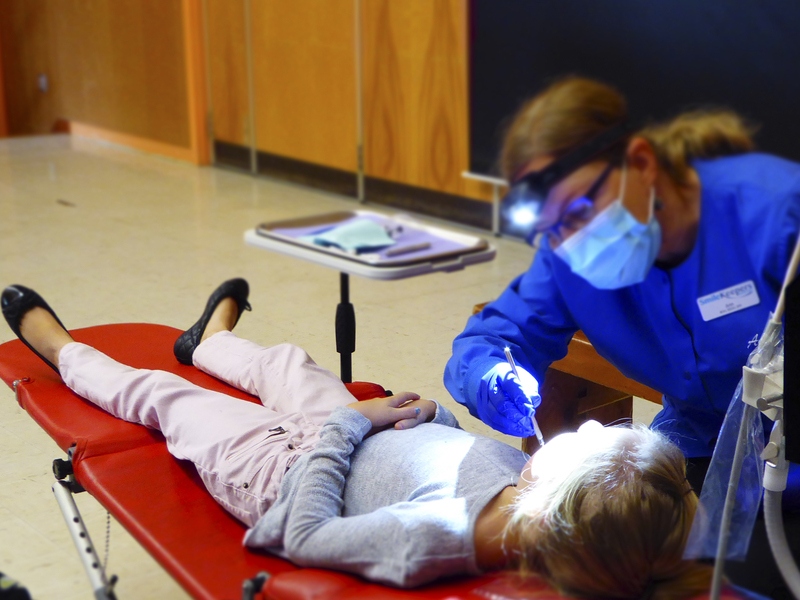 She offers dental sealants to students who have their molars. 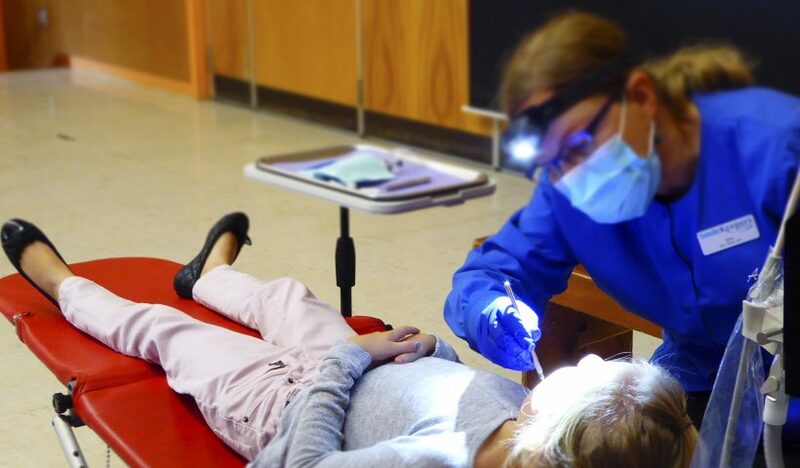 If they need additional dental care, Ossinger refers them to a dental clinic, including a free children’s dental care clinic operated by the Boys and Girls Club of Albany.